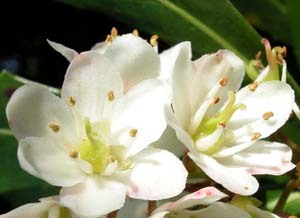 Anopterus glandulosus is the only Tasmanian species of this Escalloniaceae (Tetracarpaea is now placed in its own family, Tetracarpaeaceae). 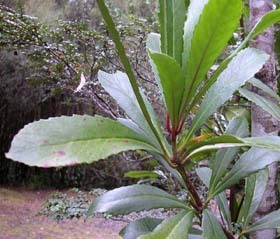 It is a native understorey shrub that is common in most lowland rainforest. 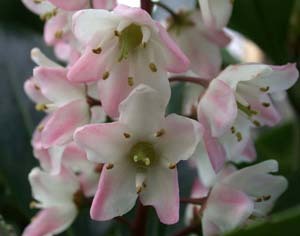 It has large, oblanceolate, serrate margined leaves arranged in false whorls, and conspicuous white/whitish pink flowers in terminal racemes.